Hello everyone. It is apparent that even though there is a groundswell of a growing number of people who are turning to alternative medicine to address their medical needs and more people, globally, are beginning to understand naturopathic medicine, and there are those who grew up on their mothers and grandmothers bush knowledge who practiced some form of homeopathic medicine, still, based on medical evidence, far too many people remain unaware of how naturopathic medicine works, and its approach to health to blend body, mind, science and traditional and cross-cultural avenues of diagnoses and treatments. Naturopathic or “alternative” medicine focuses on the person as a whole; not on a person’s fragmented body parts. Everything in the body is connected in one form or the other. One cannot effectively, and should not, treat a person’s limb or organ, to the ignorance and oblivion of the rest of the person’s body, emotional, and mental wellbeing. The “crisis” in our global contemporary medical system is that the medical system is in a state of disarray. Yes, conventional medicine excels in the management of medical emergencies, trauma care centers abound in the U.S., in many instances, heroically complex surgical applications and techniques exist, medical personnel all appear to be knowledgeable in the medical approaches to bacterial infections, STILL, traditional medicine fails, miserably in the areas of DISEASE PREVENTION and DISEASE CURATION. Chronic illnesses and diseases presently fill the hospitals and doctor’s offices, daily. The public pays more and more for health care, but accomplishes less and less. Meantime and between time, the cost of health care continues to spiral out of control. Treatments for chronic diseases (I should say for the maintenance of; not the cure) currently totals more than 85 percent of national health care in the U.S. Health care costs globally are either equal or worse. According to the American Association of Naturopathic Physicians (AANP), this state of crisis is due to the fact that governments spend almost nothing [monies allocated to research, cure and/or treatments account for just a “drop in the bucket,” so to speak] to treat the root causes of chronic disease before major illness develops. “We wait for illness to develop and then spend huge sums on heroic measures, even then ignoring the underlying lifestyle-related causes. This is the equivalent of waiting for a leaky roof to destroy the infrastructure of a house and then repairing the damage without fixing the cause of the leak…,” the AANP states. This is, of course, going to be expensive and ineffective. A former Surgeon General, General Everett Koop, in his 1988 report on Nutrition and Health, stated: “Dietary imbalances are the leading preventable contributors to premature death in the U.S…” and he recommended “the expansion of nutrition and lifestyle modification education for all health care professionals.” The Center for Disease Control (CDC), reflected Dr. Everett’s statements in its own statistics [these stats may have increased since]: 54% of heart disease; 37% of cancer; 50% of cerebrovascular disease, and 49% of atherosclerosis (hardening of the arteries) is preventable through lifestyle modification. The dilemma, globally, is that doctors everywhere are confronted with patients who suffer from illnesses for which conventional medicine offers only the treatment of symptoms. The once-upon-a-time magic of antibiotics (i.e., penicillin and its derivatives) is quickly vanishing as a host of antibiotic-resistant drugs infections emerge (i.e., MRSA—a methicillin-resistant staphylococcus aureus bacteria; AIDS; even tuberculosis [TB] has returned and now needs an entire cocktail of drugs to arrest and treat it, and so on). Growing numbers of people suffer from a host of mental and physiological complaints difficult to define by doctors, ranging from a variety of emotional, psychological, and physiological disorders. They derive only limited benefits from the flood of prescriptions commonly prescribed (tranquilizers, antidepressants, analgesics, and anti-inflammatory drugs) while the side effects they develop from these drugs only add to their woes. Then there are the over-the-counter drugs, as well. Most drugs, whether over-the-counter or prescribed, almost all, merely mask symptoms or control health issues, or in some way alter the way organs or body’s systems (i.e., the circulatory system) work. These drugs almost never deal with the root reasons why these problems exist. Meanwhile, these drugs frequently create new health problems or side effects of their own. The underlying concepts of naturopathic or alternative medicine are not new. These concepts are actually a return to the old principles that have been part of humanity’s knowledge of health for thousands of years. This wisdom of health principles has always linked health to a state of harmony or balance, while disease has been linked to a state of disharmony or imbalance in the human system. Hippocrates, the ancient Greek physician and the father of Western medicine’s success in his practice of medicine, was not in the drugs he used, nor in his diagnostic skills. It was in his insight that the elements which were needed to produce and maintain health were natural, and they included hygiene, a calm, balanced mental state, proper diet, a sound work and home environment, and physical conditioning. Additionally, Hippocrates recognized the life forces that pervade all of nature, and which have multiple expressions—some known, some theorized, and many unknown. Hippocrates also taught that health depended upon all living beings should live in harmony with these forces. Recognition and respect of these life forces is equally vital to Naturopathic Medicine, Ayurvedic Medicine from India, and Traditional Chinese Medicine. A departure from the foregoing philosophy of health occurred in the mid-19th century, following the discovery of disease-causing microbes. One theory was that infecting microbes (called germs, i.e., viruses, bacteria, and fungi) were the cause of illness. Whereas, Naturopathic medicine maintains that these microbes only become infectious if conditions inside the body are right for them to become infectious and proliferate. When the “germ theory” became dominant, the birth of contemporary medicine, with its emphasis on infectious causes of disease, rather than the physiologic balance or harmony, occurred. That’s all for today. Next week we’ll discuss: Poverty and it Socio-Economic Link to Poor Health. This week is “Holy Week.” To all, have a blessed Easter—Jesus Christ arose from the dead for practicing Christians; a blessed Passover to the Jewish community; a blessed respect to all religious Muslims who commemorate from March 22nd – July 9th the Prophet Muhammad’s journey from Mecca to Jerusalem and his ascent into heaven, according to Islamic belief; and lastly, but by no means least, respect to our Amandala readers. 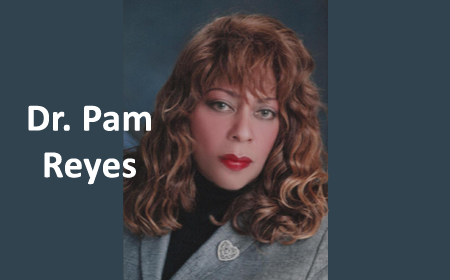 Dr. Pam Reyes is Chairwoman of Caribbean Educational Media, a California 501(c)(3) nonprofit corporation, dispersing information on health, educational & legal issues, and exploring the information & communication highway of the present and future, via the media of the Internet, print journalism, nonprofit public radio & television, and nonprofit public participation.